Police launched a manhunt in Sweden's capital Friday for a suspect who rammed a truck into a department store in a likely act of terrorism — killing four people and injuring 15 others, officials said. 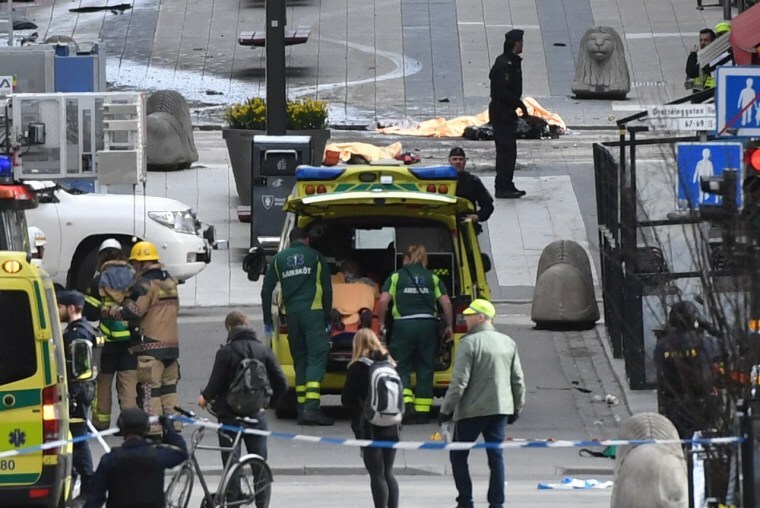 The vehicle plowed into a crowd on Stockholm's busy Drottninggatan shopping district before barreling into the side of the Ahlens store, the country's security agency said. Panicked pedestrians and shoppers were caught scrambling for safety. During a news conference, police said they were seeking a man in a green jacket and hoodie with a mustache and beard. Swedish National Police told NBC News that one person was arrested in connection with the rampage, but would not immediately say whether he was a suspect or the man they earlier described. Two others were brought in for questioning, but authorities say they are not suspects but may have information. This would mark the latest in a series of low-tech, vehicle-based terror attacks across Europe, including in France, Germany and England, over the past year. NBC News Alerts:Be the first to know about breaking news. Sign up here. "Everything indicates that this is a terrorist act," said Swedish Prime Minister Stefan Löfven. Swedish broadcaster SVT said shots had been fired — although officials would not confirm that detail. Police were investigating the truck and said they were in contact with its owner. Eyewitnesses described confusion as smoke from the crash filled the building. Maria Nathalie said she was in the department store at the time of the incident. "People started running down the stairs when the fire alarm started," she told NBC News. "And when we came down to the bottom of the building, all we could see was a lot of smoke and there was someone who helped us get out on the other side of the building." John Backvid, a 25-year-old Stockholm resident and local university student, said he had just gotten out of the subway across the street from the department store when the crash occurred. He could smell smoke and came across a chaotic scene. "I looked up and saw people running towards me and I saw the truck on the other side," Backvid said. People were worried that a hot dog vendor's gas grill might spark an explosion, and Backvid said he and others started running. He also noticed someone performing CPR on a victim. U.S. State Department acting spokesperson Mark Toner said the United States condemns what it called a terrorist attack. 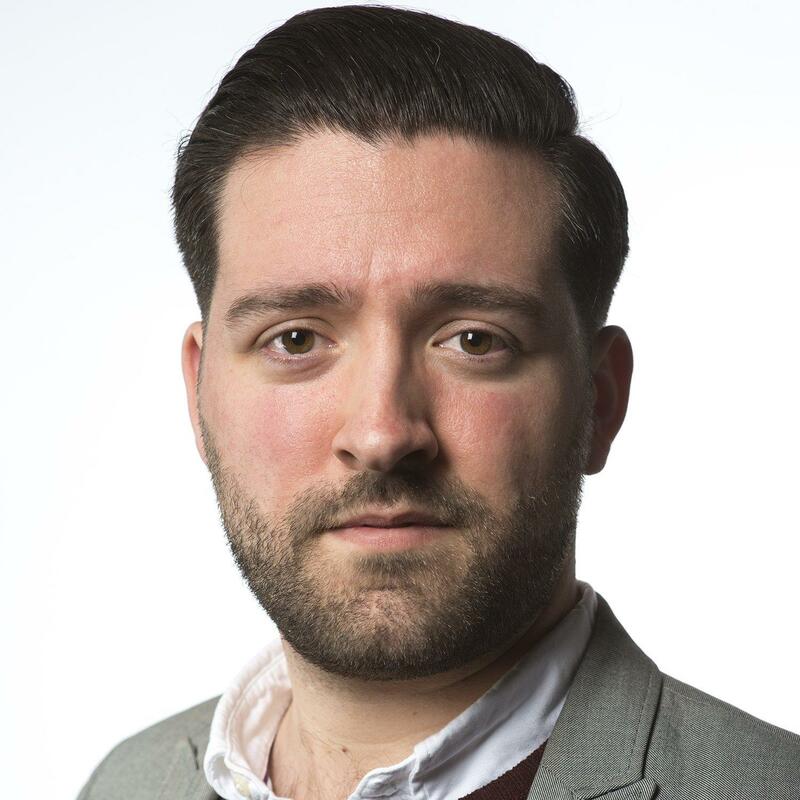 "Attacks like this are intended to sow the seeds of fear, but in fact they only strengthen our shared resolve to combat terrorism around the world," Toner said in a statement. "The United States and Sweden are committed partners in this fight, and we stand ready to offer any assistance Sweden might require in investigating this brutal and senseless attack." The incident comes two weeks after a man rammed a car through crowds in London and killed four civilians before stabbing to death a police officer. Last July in France, 85 people were killed when a Tunisian-born man hijacked a 19-ton truck and ripped through a crowd celebrating Bastille Day in Nice. He was shot dead by police, and officials said he was radicalized. Then, in December, 12 people were killed at a Berlin Christmas market where a truck driver plowed into pedestrians. The 24-year-old suspect was killed in a shootout with police in Italy. The media arm of ISIS at the time issued a statement claiming the attack was done in its name, although it gave no evidence and did not identify the attacker. Some residents in Sweden, meanwhile, said they would not let this latest terror-related scare paralyze them. "We need to stand up and continue our lives and show that we are not afraid," Backvid said. Emma Ong, Shamar Walters and The Associated Press contributed.